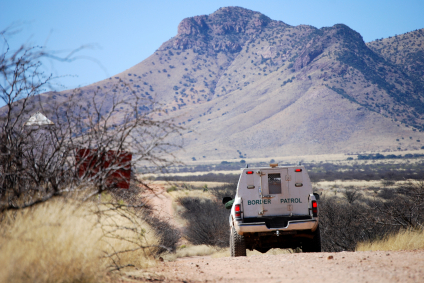 Thousands of U.S. Customs and Border Protection officers face a difficult mission as they work daily to halt illegal immigration and drug smuggling on America’s southern frontier. But there’s no excuse for the dozens of suspicious shootings and other abuses in recent years by minimally accountable border officers. A June 29 Homeland Security Advisory Council report calls for greater accountability by adding hundreds of internal affairs investigators to Customs and Border Protection’s 44,000-member law-enforcement staff. The report contrasts the agency’s extraordinarily high number of arrests with those of similarly sized urban police forces and concludes that the agency lacks adequate checks and balances against abuse. It’s disconcerting that the Department of Homeland Security, which oversees U.S. Customs and Border Protection, parent agency of the Border Patrol, has waited so long to institute reforms, especially considering persistent reports of corruption and misconduct among border law enforcers. An internal investigation identified 67 Border Patrol shooting incidents in which 19 civilians died — including an unarmed Mexican boy killed during a rock-throwing incident at the El Paso border bridge in 2010. Other notorious cases involved a youth’s shooting death as he stood on the Mexican side of the border fence near Nogales, Ariz., and a 19-year-old American shot dead while climbing from the U.S. side of the fence into Mexico. An agent on a Border Patrol boat in the Rio Grande killed a 37-year-old man who had been picnicking with his family on the Mexican riverside near Laredo in 2012. In 64 such cases, the agents involved were absolved. Three cases remain under investigation. A big part of the problem is that the border zone exists in a legal gray area where neither country’s laws fully apply, especially if an agent’s bullet crosses the border to hit a target on the other side. A 2003 Homeland Security reorganization added to the problem by reducing the number of internal affairs investigators to zero, the report says. Currently, there are only 218 internal affairs investigators for a Customs and Border Protection workforce of 60,000, more than two-thirds of whom are law enforcers. The advisory council report calls for a net increase of 350 investigators to address corruption and misconduct allegations in a timely fashion. It also calls for revised use-of-force guidelines emphasizing agents’ “overarching responsibility” for preserving human life. Other recommendations call for the use of body cameras, limiting agents’ use of firearms against individuals throwing nonlethal items, such as rocks, and for ending use of firearms in car-chase scenarios. These are common-sense measures that most urban police forces already employ. Border enforcement is serious business, but not so serious that innocents and nonlethal offenders deserve to pay for tighter security with their lives. Posted: 7/10/15 at 10:08 AM under News Story.